ABUJA (Ministry of Industry, Trade & Investment Report) – The Nigerian Government’s efforts towards achieving inclusive economic growth through industrialization has received a major boost following the country’s selection by the United Nation’s Industrial Development Organisation (UNIDO) as one of the pilot countries in Africa to benefit from its industrialization plans. The Minister of Industry, Trade and Investment, Olusegun Aganga confirmed the development after the Presidential Advisory Council Meeting on the NIRP in Abuja on Friday June 21, 2014. 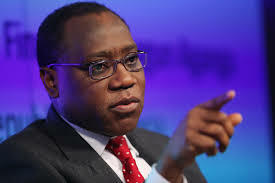 Aganga noted that Nigeria’s endorsement was based on the Federal Government’s holistic and integrated industrialization policies which culminated in the recent launch of the Nigeria Industrial Revolution Plan by President Goodluck Jonathan. “The NIRP is a five-year plan to improve competitiveness and rapidly increase the capacity utilization of local industries for job creation and wealth generation. The plan identifies industry groups where Nigeria has comparative and competitive advantage such as agro and agro-allied processing; metals and solid minerals processing; oil and gas related industries and construction and light manufacturing and services, among others,” he said. According to him, the goal of NIRP is to increase the contribution of the manufacturing sector to the nation’s GDP from the present four percent to more than 10 percent over the next five years, in order to boost the annual revenue earnings of Nigerian manufacturers to N5 trillion per annum. “As a sign of endorsement for the NIRP, we have just received the good news for Nigeria, which is that the United Nations Industrial Development Organisation (UNIDO) has selected Nigeria as one of the pilot countries in Africa that they want to showcase and support their industrialization plans. This is based on the Nigeria Industrial Revolution Plan which was recently launched by President Goodluck Jonathan. The UNIDO Director General has already visited Nigeria and has been briefed about the NIRP,” he explained. While speaking on Nigeria’s selection as a pilot country in Africa, UNIDO’s Country Representative in Nigeria, Patrick Kormawa inferred that this was based on the Federal Government’s proactive and well articulated policies towards industrializing the country. He also pointed out that UNIDO selected Nigeria based on Nigeria’s proactive policies towards industrialization and private sector development. “Over the years, Nigeria has taken bold steps to improve the investment climate for industrialization. Secondly, Nigeria has put in place the Nigeria Industrial Revolution Plan which is anchored on the highest level of governance. And when a government puts a policy or an action at the highest level, you will get the buy-in of international organizations like UNIDO,” Kormawa stated. Patrick Kormawa further opined that UNIDO has selected Nigeria because it has observed that the government has provided enabling policies for improvement of the investment environment and critical infrastructure such as power, the skills required for industrialization and the next demand is to ensure that investments and the goodwill of government gets support by international investors. He added that the country is strategic to UNIDO because its impact is effective in Africa. “Given the investment potentials and the recent re-basing of the Nigerian economy, making it the largest economy in Africa and coupled with the Federal Government’s policies, Nigeria is now on the move. This is our own way of showing the commitment of UNIDO to moving along with the government and people of Nigeria to improve industrialization in the country,” he averred. Kormawa indicated that the PAC, whose membership is mainly driven by the organised private sector has Olusegun Aganga as Chair, while Aliko Dangote is the alternate Chairman. The Friday June 20, 2014 meeting which was the second since the inauguration of PAC by President Jonathan about a month ago was attended by the Minister of Power, Chinedu Nebo as well as the Chief Economic Adviser to the President, Nwanze Okidegbe and leaders and captains of industry, including: the President of the Manufacturers Association of Nigeria, Kola Jamodu and the President of Dangote Group, Aliko Dangote, among others.